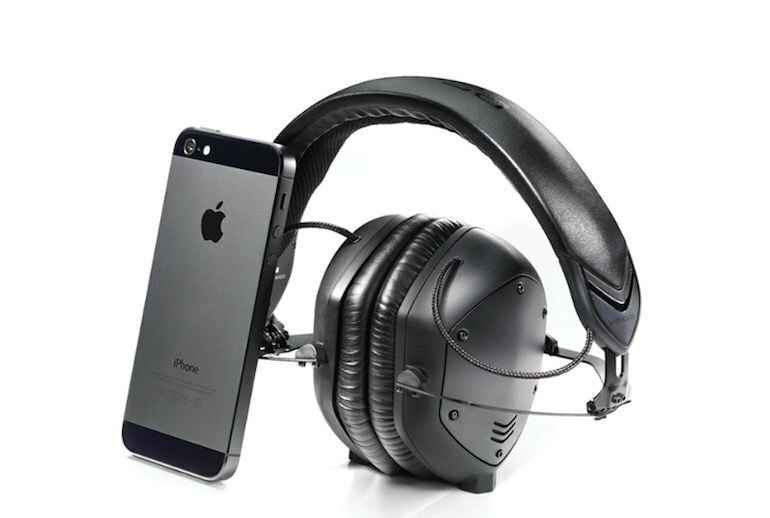 The Crossfade M-100 headphones are sturdy and durable--with a clever folding-up routine. They deliver a big sound with plenty of bass and bright highs. The M-100's removable cable can be plugged in to either earcup. Depending on your tolerance limit, the earcups may start to feel heavy after a while. The in-your-face sound may be too much--unless you're a DJ. They feel uncomfortable when worn around the neck. Thanks to a $40 price drop by the manufacturer, the Crossfade M-100 rugged headphones are even more attractive than before: Expect sophisticated sound--a rich bass and crispy highs--and noise isolation. The M-100's ergonomic headband and memory foam cushions provide a comfortable fit, while the hexagon-shaped cups reduce the force on your head. The price includes an exoskeleton carry case, carabiner clip, mic cable, SharePlay audio cable, 1/4-inch pro adapter, and two V-Corks, which are small gadgets designed to seal the jack on an unused earpiece. Another thing I love about these headphones is the case...The M-100s are much thicker than other [wide headphone] cases, but the overall volume appears to be smaller. More importantly, the case is small enough to clip on to a bag (carabiner included). The Steelflex headband adjusts to your head shape and the faux-leather, memory-foam ear pads fit snugly and easily on your ears while you listen in comfort to head pounding bass. Although the V-MODA Crossfade M-100s weigh nearly...10 ounces...we are surprised with how comfortable they are for solid bass headphones. The CrossFade M-100 Headphones have really raised the bar for me in terms of sound reproduction. They produced a level of depth and immersion that I had never before experienced...If I ever give any product a score close to 10 for performance it will definitely be these. It was immediately clear that the M-100 are extremely adept at reproducing productions by artists who hand-pick their tones like a master painter chooses his color palette. 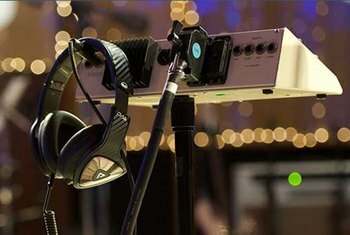 The drivers dig up the depth and detail of music, aptly displaying the care in which each note has been dripped into the stereo field. 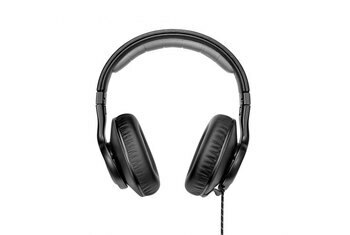 As a big-headed person, I found that the M-100 got a bit uncomfortable over long listening sessions, though listeners who are less cranially endowed will probably be fine. [W]rapping these around the neck can be uncomfortable at times. The steel hinges can press just enough on the skin to make it more suitable to put away when not in use. If you want to show them off like a Premier League football in a post-match interview, these are probably not for you. 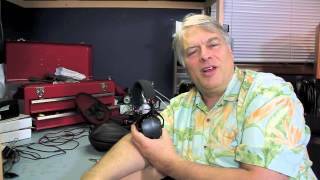 [T]he M-100s have a fantastically low level of distortion, and they can block out a fair bit of high-frequency noise to boot. However, it should be noted that if a large vehicle goes by, you're definitely going to be hearing the engine noise. We love the multitude of Kevlar-wrapped audio cords that come with the M-100s. Included is a one-button mic cord and a SharePlay audio cable that will allow you to plug in a friend's headphones to share your music via the integrated headphone splitter. Filigree detail and hall acoustic were typically filtered from the sound, attention now diverted on midband tunes. If you're ever tempted to join in with your favourite songs, bewarned: we found these all too compelling as singalong-a-headphones. The microphone button, which can control the smart phone, did not allow me to go back to a previous song; I could only pause and forward to the next song when I used an iPhone. On classical tracks, like the opening scene in John Adams' "The Gospel According to the Other Mary," the M-100 shines by providing the lower register instruments with some added richness and power while never going overboard. 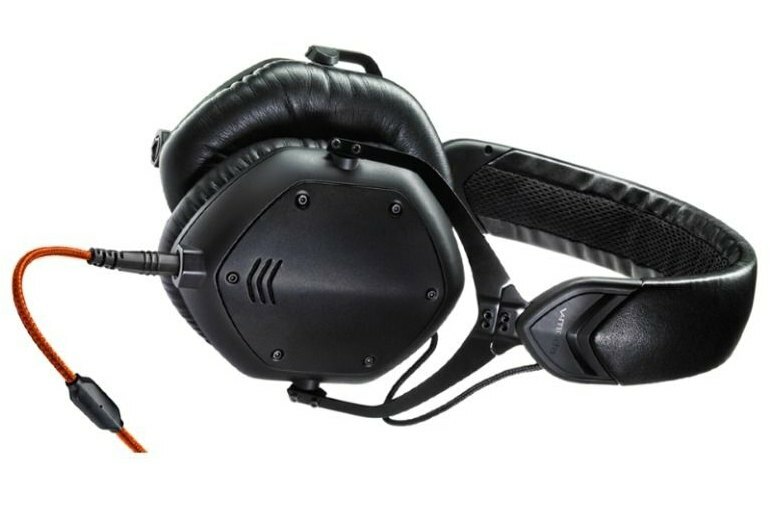 It's clear that the Crossfade M-100 is V-Moda's best headphone. It's beautifully built and sounds great with all types of music. 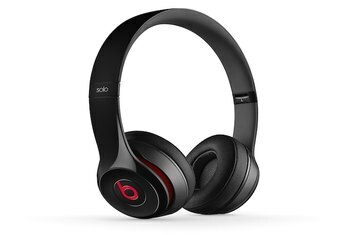 Its exceptional build quality and durability, compared with most audiophile-oriented designs and various Beats by Dr. Dre models bode well for the M-100's long-term use. The opening bass lines of The Cat Empire’s Fishies are chunky and playful, while there’s a satisfyingly solid weight underpinning the anthemic You Give Love A Bad Name by Bon Jovi. It’s not a particularly airy sound though, and it can get chaotic at times. 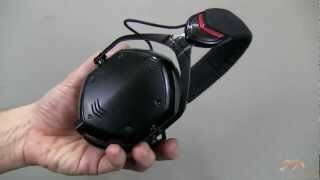 V-MODA's Crossfade M-100 headphones are the finest combination of sound quality, tactile quality, and comfort I've experienced at this price range in a pair of headphones - only [V-Moda's] LP2s come close. I know that I'm being picky, but the Crossfade M-100s did prove a little heavy on the bass end for my personal taste (though the Beats generation might think otherwise). I also felt that lower mids were occasionally lost to a particularly strong kick/bass combination on certain tracks. For some reason, the headphone's wires create an annoying scratching noise whenever they rub up against anything, especially towards the top of the cord. While walking, or on a windy day, this can definitely affect your listening experience. Earpads are cozy, but comfortable. If you have large ears though, they may be a tight fit. Headband padding is about right and the curvature distributes the weight nicely across the top of my slightly large noggin. I really like the use of metal in these headphones. They’re thin, flexible, durable, and as artistically styled as they are functional. As you extend or retract the ear cups, the Crossfade M-100 emit a solid click with each adjustment. The feeling is an indicator that these headphones are certainly designed to last. What looks like an impossible Houdini-like fit was achieved by reengineering how the M-100 collapses into itself. V-MODA spent much time and money on a patented solution for storing headphones called the CliqFold Hinge. You have to see it and use it to appreciate it. Padding is dense, and if there's any downside compared to [V-Moda's] M-80 it's that given your local climate you might find the larger headphone warmer and a bit sweatier for long sessions. But given how it sounds, I think that's a small price to pay. After weeks of being stuffed into a backpack and carted through some long days in New York, the cans show zero wear. 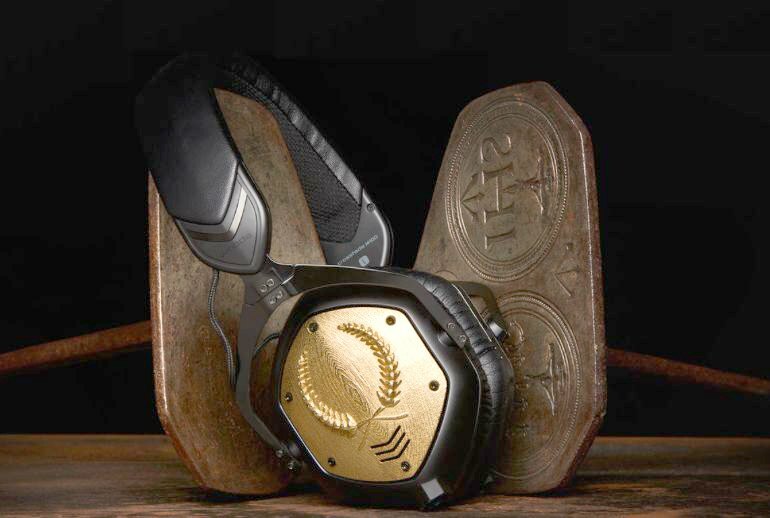 Not surprising, given that V-Moda guarantees the M-100s can endure 70 drops onto concrete. 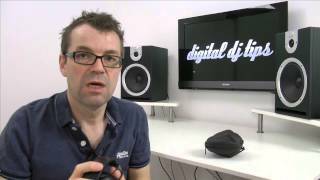 Having owned several VModa headphones with both in ear buds to over ear devices they are a very strong brand. 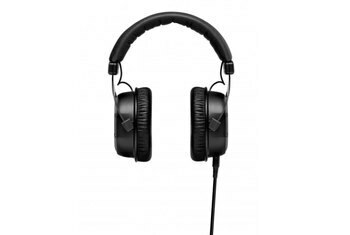 If you are someone who prefers rich deep bass in your music these are the headphones for you .Also they have probably the industries best warranty program that you can be extended replacing at no cost any headphone that is deemed as defective or fails.